Time to celebrate the autumn darkness with some light, and to celebrate the connection we have with the spiritual realm! Theresa Hutch has spent the last 6 months painting her new deck, White Sage Tarot. Join us for special readings under the October moon and a presentation about her artistic process. Then tap into your own creative flow with Lalitha Belur, a Vastu consultant, through setting up a sacred altar space in your home. Tickets are $5 to reserve your space, but you will also receive $5 off any purchase at Khazana. Tarot readings will be offered first come, first served as time permits. 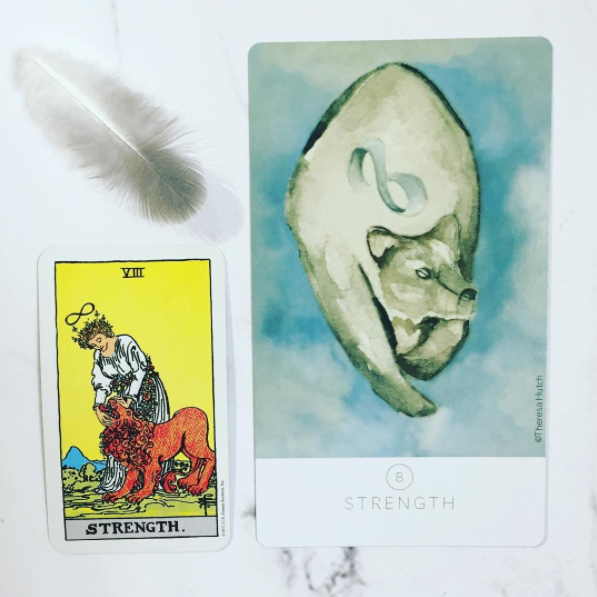 Seeking a way to balance the hyper-masculine energy in our culture with a soft, strong and feminine deck, Theresa’s tarot deck, White Sage Tarot was born. The white sage plant is used in smudging; an ancient Native American method used to cleanse spaces and people. White Sage Tarot is modern minimalist 78 card deck based in a classical model of tarot. The animals wear clothing and crowns, creating a whimsical touch to both the Court Cards and the Major Arcana. The deck is infused with 7 Chakra (energy centers) colored ribbons as an additional way to read the deck. 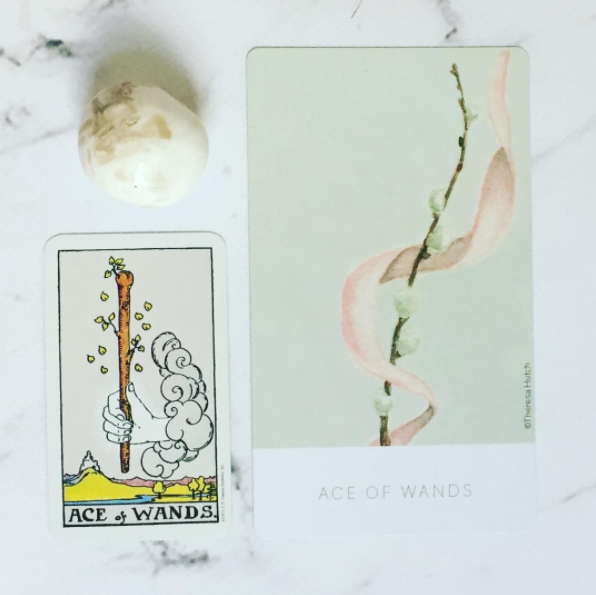 The intention of The White Sage Tarot is to help people find clarity and flow while navigating life’s journey. Theresa Hutch lives and works out of her home studio in Minneapolis, MN. She is an illustrator and small business owner of an on-line stationery shop called Small Cloud Shop. She sells wholesale to 21 stores both local and global. Theresa has a B.A. in Design Communications and is licensed to teach art and yoga. She enjoys developing characters, and telling astory with her art. In addition to illustration, Theresa loves to travel, teach yoga and spend time with her family. Vastu Shastra is the parent of Feng Shui. It originates in India, and is a sister science of Ayurveda and Yoga. Vastu is the Vedic science associated with creating harmony and balance in dwellings. When our homes and dwellings are aligned with nature, it invites greater health, happiness, and prosperity into our lives. We will discuss how to balance your home and work environments, using the principles of Vastu Shastra, so that energy flows more harmoniously in a living space. Lalitha Belur is fascinated with the Vedic sciences (Yoga, Ayurveda, Vastu Shastra) and their beneficial effects on health, well being and happiness. She is a Vastu Shastra consultant, and is passionate about helping others create better energy flow in their homes and work spaces. She loves to create altars for people, tailoring the altar to meet each individual’s needs and intentions. Lalitha is a scientist by profession, and specializes in genetic therapy and innovative delivery therapies for brain and liver diseases, with the goal of transforming lives of patients with unmet medical needs. She works at the University of Minnesota.